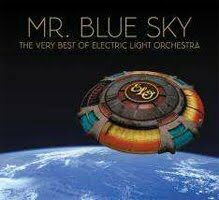 RockUnitedReviews: ELO: "Mr. Blue Sky The Very Best Of"
Are you fed up reading the (Frontiers) press-releases which include big words such as "legendary" and "classic" in regard to each and every obscure act of the past? Well, hold on to your hats (really? hats?) since the write-up actually makes sense for once. The Electric Light Orchestra and the legendary Jeff Lynne. What's possibly left to type down about this sheer genius in the year of twenty twelve anyhow? It's all been written in stone and I seriously doubt that I can come up with anything remotely fresh or interesting to say about ELO and Lynne? Here's a couple of notes though. I never ever expected to find ELO/Lynne at Frontiers Records (kudos). Bands such as Cheap Trick, Supertramp, The Cars (the list goes on and on), based their entire career on taking various bits and pieces from ELO. Not to forget the "Jims" from Survivor and Meat Loaf fame, etc, etc. Lynne on the other hand, obviously inspired by Beatles, Orbison, and Phil Spector's 'wall of sound' as he turned it into perfect rock/pop music for the seventies. "Mr. Blue Sky", not just another compilation though since Lynne revisited and re-recorded the songs, and according to the man, "When I listen to the old versions they don't sound the way I thought they did when I first wrote and recorded them. I wanted to use the experience I've gained producing records ever since and have a completely new try at them", end quote. Not quite sure if the old fans agrees? Music is so deeply rooted and connected to memories and certain places that no re-recording will ever replace the first, original, and lasting memory. But these versions are actually not-too-shabby all considering and you'll get the previously unreleased "Point Of No Return" as bonus track. And it's frankly just a fun ELO tune and Lynne's as good as always when it comes to vocals and instruments. I've only been enjoying the music of ELO for a very short period of time and they are still a rather fresh and new experience to my ears. Perfectly suited to please the beginner fan? and what's not to like about the sheer quality of these songs? It all comes down to if you're buying the concept of re-recordings or not? Track Listing: Mr. Blue Sky, Evil Woman, Strange Magic, Don't Bring Me Down, Turn to Stone, Showdown, Telephone Line, Livin' Thing, Do Ya, Can't Get It Out of My Head, 10538 Overture, Point of No Return.